Kiuila is led by Ukrainian artist and musician Maxim Kiuila, with all the tracks recorded in various studios and with various musicians between 2002-2006. The music is characterized by a masterful blending of various ethnic, ambient, psychedelic, jazz, and electro-groove influences. A brief three female vocal harmony of Indian/Middle Eastern styled song-chant leads into "Dle Yaman", a psychedelic-world music-fusion instrumental. 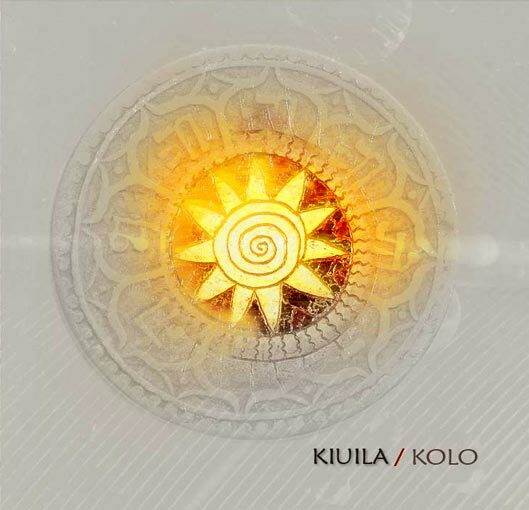 Kiuila produces all the horn sounds and atmospherics, ethnic percussion and savory guitar melodies. Solo and looped bits blend with meditative ambient waves to make for a cool grooving ride. Sergey Kondratiev adds his guitar to "Vine" to inject some searing and wah'd psychedelia to Kiuila's high powered brand of ethnic flavored chill-out grooves. "Stop" is one of my favorite tracks of the set. Kiuila produces many of the horn sounds on the album on keyboards, but on "Stop" we have real sax and trombone, adding a nice solid jazz tone to the psychedelic-ethnic-ambient mix. Horns jam away to funky basslines, tribal percussion, chants and chill-outs. An excellent blending of disparate sounds and styles. "Goat" is similar, with the vocalists from the album opening making a welcome return. I love the way Blues guitar jams away side by side with looped-efx'd guitar on this track. "Kolo" is another excellent example of skillfully blending various influences, with it's sax driven jazz, guitar, ethnic percussion, chants and psychedelic mind massaging effect. And "Varva" has a 1970s light jazz and funk feel, but enhanced by the now familiar Kiuila psychedelic guitar efx, ambience, and grooves. Overall a very impressive and enjoyable combination of styles, bringing the world music, jazz and psychedelic realms together in interesting and often downright fascinating ways. Fans of Steve Palmer's Blue Lily Commission albums will dig this for sure. For more information you can visit the Trail Records web site at: http://www.trailrecords.net.